Mohraang are a solo project from Russia that plays an atmospheric form of funeral doom/death metal and this is a review of his self released 2016 album "Underworld Of Khorrendus". Atmospheric soundscapes start off the album along with some water sounds a few seconds later and after awhile clean guitars are added onto the recording along with some synths and it also mixes in with the more heavy and melodic guitars which also takes the album into more of a funeral doom metal direction. A couple of the tracks are very long and epic in length and the vocals are mostly deep death metal growls and the music also brings in a decent amount of influences from the 90s as well as mixing the atmospheric and heavy parts together and all of the songs avoid using any solos and leads while always sticking to a very slow musical direction. 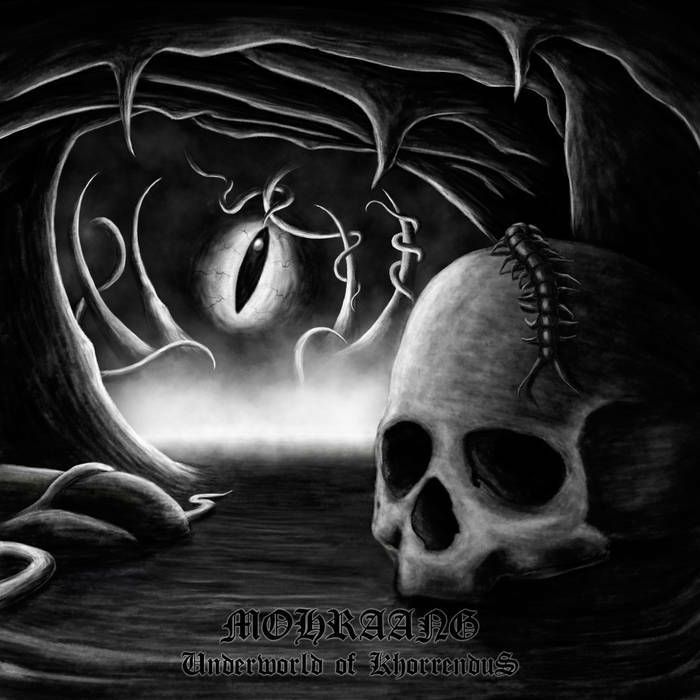 Mohraang plays a style of funeral doom/death metal that is very slow, dark, heavy and atmospheric sounding, the production sounds very powerful for being a self released recording while the lyrics cover dark themes. In my opinion Mohtaang are a very great sounding atmospheric funeral doom/death metal solo project and if you are a fan of this musical genre, you should check out this album. RECOMMENDED TRACKS INCLUDE "Part II" and "Part V". 8 out of 10. I have just finished recording the new album which will be called "Lectio Tenebrarum". Once again and as Niger Ritus or Miserere Nostri - Mhönos first album, the disc was recorded, mixed and mastered in the Sancta Crucis chapel. The designers Førtifem are currently working on the artwork of this new album. Lately, I have repeated to prepare the concerts that will follow these recording sessions and worked on the sounds of the new instruments that I've crafted. 2.How would you describe the musical sound of the newer material? First, as Niger Ritus, the new album Lectio Tenebrarum was fully live recorded and I've played - as I wrote just above – once again in Sancta Crucis chapel. I worked alone from beginning to end. This album is a continuation of Niger Ritus. I changed some of the instruments employed on the previous by introducing some newly manufactured and removing others that were not appropriate to accompany the new lyrics. Overall, I removed almost all purchased instruments to replace them by the instruments I've crafted. I worked a lot my vocals since the recording of Niger Ritus and I used various vocal techniques, some of which are new to N.K.R.T. In some ways, I reconnected with few vocal sounds of early Mhönos. Lectio Tenebrarum is a triptych builded around three separate texts and is spread over three tracks from different recording sessions - unlike Niger Ritus which had been recorded once. Because I had more time to do it, I allowed myself to record the album several and several times to select the best shots. Lectio Tenebrarum will be out for Winter Solstice on Nomos Dei productions, 12/21/2016. 3.What are some of the forms of Occultism you bring out in your music? There was nothing, there is nothing, there will be nothing. The music – trougth the texts - rather deals with emptiness of existence of the infinite struggle of our ego which tries in vain to combat the void, surviving through the complaint, the quest for visibility and handling of its reflection in other humans beings considered as mirors. N.K.R.T doctrine can be summarized in this formula : IN SPECULUM VERITAS. 4.What is the meaning and inspiration behind the name 'N.K.R.T'? I can't answer, I'm sorry. Some things should better stay confidentials. 5.What are some of the best shows that you have done so far and also how would you describe your stage performance? Luckily, I enjoy every concert even more than the last. Music is indeed built around a highly ritualistic and ceremonial framing. Its purpose is clearly to be played on stage. I play alone, without lights, droned in deep incenses smokes. Because I want to be totaly anonymous when I play, I hide my face under a large black hood and I play in the dark, lighted only by a few candles. It is important to me not to be recognized before or after the concerts because I do not want to play in order to be congratulated or well watched. Music must be the primary and essential thing and the individuality who plays should always disappear behind. Music has too much served my ego by the past, I wanted totally eradicate it through N.K.R.T. I have no interest in touring, I prefer ponctuals and particulars concerts which have more interest for N.K.R.T. In the next months, I will play in my town, Rouen, but also in Britany, north of France, Germany and festivals. 7.So far you have worked with Tour de garde Productions and Nomos Dei productions, are you happy with the support that they have given you so far? Tour de Garde and Nomos Dei are true, honest, aesthetically faultless. Men who are behind are passionate but also very important actors of the dark sides of actual musics. Their support is very important. They allowed the existence of N.K.R.T. 8.Recently you have done a collaboration with 'Clairiere', can you tell us a little bit more about it? Clairière is a musical project led by a very talented musician who lives in my dear and beloved Rothomagus. After mutually discovered in concert, we were surprised by the many similarities of our projects and our way of thinking the music. We decided to create something to celebrate the summer solstice and we have immortalized this performance on a self-produced cassette limited to 40 copies. My recent experiences in bands were disasters, I had to leave some, I was fired of some others... I decided to only play alone now but Clairière came and gave me the desire to share – sometimes - the practice of music with other human beings. Some person outside of France listen to my music because the labels I work with are Canadian and Russian. Foreign listeners began writing chronicles of Niger Ritus and I will give my first concert outside of France at the end of 2016. I hope no success but I want to do more concerts in foreign countries, I'm satisfied by the way of things actually happend. I see myself hidden under my hood during concerts and locked in my chapel during the recordings. All that is happening now satisfied me. In the future, I hope to continue to find places and concert organizations N.K.R.T who appreciate and want to play me. That I most hope is to continue to find me trough this musical practice. I was marked by a concert by Attila Csihar with his solo project Void Ov Voices and two concerts done by Tibetan monks from Gyuto school which I attended. I listen to a lot of music with throat singings from Asia and Inuit areas, proto-christians and orthodox liturgies. Burzum, The Cure, Abruptum, Striborg and Xasthur are also great influences. I was also very influenced by a band of my city that I consider as one of the most brilliant : ROSA CRUX. My city is a city both very very Gothic and industrial also has considerable influence on my way of seeing things. I just want to thank you for this interview and for your interest on N.K.R.T. Canada's Aidan Baker and Tomas Jarmyr team up together to create a recording that mixes psychedelia, krautrock, space rock, ambient, noise and doom metal together and this is a review of t heir 2016 double album "Werl" which was released by Cossouling Sounds. Ambient sounding drones start of the album and the music also brings in an improv feeling once the drums and clean guitars kick in and the music also gets very avant garde and experimental at times and after awhile the guitars start getting more distorted and heavier and most of the tracks are very long and epic in length. Elements of both psychedelic and space rock can be heard quite a bit throughout the recording along with all of the tracks being instrumental and the solos and leads are very melodic and bring in touches of post metal and a great amount of diversity can be heard throughout the recording while the riffs also mix in the heaviness of doom metal and as the album progresses elements of noise can be heard and when bass guitars are utilized they sound very powerful and all of the tracks stick to a very slow musical style. 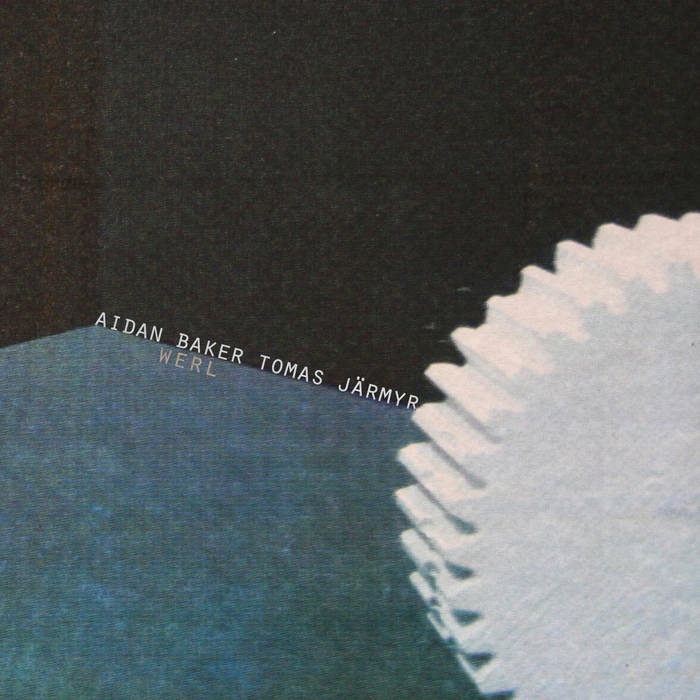 Aidan Baker and Tomas Jarmyr creates an instrumental improv that mixes in done, experimental, psychedelia, space rock, post metal, ambient, noise and doom metal to create something very original and the production also sounds very powerful. In my opinion Aidan Baker and Tomas Jarmyr are a very great sounding mixture of psychedelia, krautrock, space rock, ambient, noise and doom metal and if you are a fan of those musical genres, you should check out this duo. 8 out of 10. 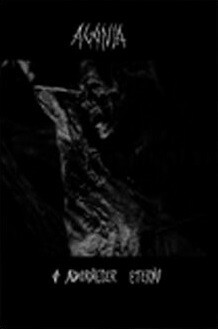 This is another review of a recording from Portugal's Agonia which is also in the cataclismic doom metal direction with the cassette being called "O Desvanecer" which was released by War Productions. A very dark guitar amp sound starts off the cassette which also leads up to a heavier doom metal direction that also introduces grim black metal screams onto the recording and melodic leads are also utilized at times and the music also brings in experimental and avant garde elements into some parts of their songs. All of the songs stick to a very slow musical direction while also bringing in elements of funeral doom metal and touches of drone can also be heard at times along with clean guitars also being used briefly as well as a brief use of whispers and one track also brings in melodic chanting and the same song is also very long and epic in length. Agonia creates another recording that is very slow, dark and heavy in the doom metal style and they also bring in touches of black metal and experimental music, the production sounds very dark while the lyrics are also in a darker direction. In my opinion this is another great sounding cassette from Agonia and if you are a fan of dark/doom metal, you should check out this recording. 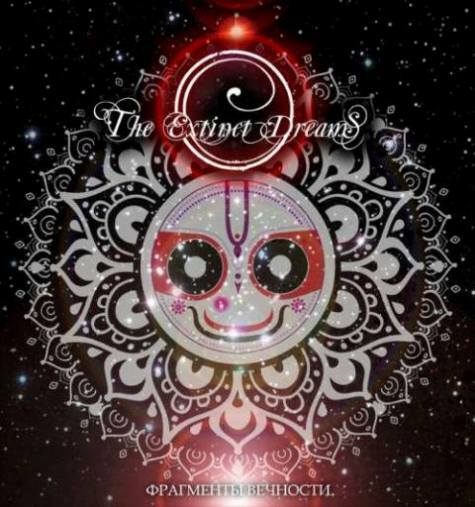 RECOMMENDED TRACK "O Desvanecer". 8 out of 10. 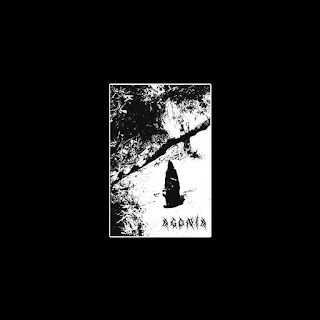 Agonia are a band from Portugal that plays a musical style they describe as being 'cataclismic doom' and this is a review of their 2016 cassette "O Adormercer Eterno" which was released by War Productions. An atmospheric drone style intro starts off the cassette along with some avant garde elements being utilized and after the intro the music goes into more of a heavier doom metal direction which also utilizes melodies at times while the vocals are grim screams that also gives the music a touch of black metal. When guitar solos and leads are utilized they are done in a very dark yet melodic fashion and clean playing can also be heard at times and some of the tracks are long and epic in length and some of the songs have an experimental approach to them and most of the music is instrumental and also remains true to a very slow style and melodic chanting can also be heard on the last track. Agonia plays a form of doom metal that is very dark and heavy sounding while also having its experimental and avant garde moments as well as having a slight black metal influences that amkes the songs sound different and the production sounds very fark. In my opinion Agonia are a very great sounding cataclismic doom metal band and if you are looking for something very different, you should check out t his cassette. RECOMMENDED TRACKS INCLUDE "Degenerescencia Suave" and "Agonia Triunfante". 8 out of 10. The Extinct Dreams are a band from Russia that plays funeral doom/death metal and this is a review of their 2016 album "Fragmently Vechnosti" which was released by Stygian Crypt Productions. Atmospheric sounding synths start off the album along with some clean guitars which they also mix in with the funeral doom metal sound and you can also hear a great amount of melodic riffing and after awhile death metal growls make their presence known on the recording and the solos and leads also use a great amount of depressing melodies. Most of the tracks are very long and epic in length while clean singing can also be heard in certain sections of the recording and all of t he songs stick to a very slow musical direction and also have a good mixture of both modern and old school influences and as the recording progresses the synths start getting more diverse and female vocals are added onto the last track. The Extinct Dreams plays a style of funeral doom/death metal that is very melodic and atmospheric sounding, the production sounds very professional while the lyrics cover dark and philosophical themes. In my opinion The Extinct Dreams are a very great sounding funeral doom/death metal band and if you are a fan of this musical genre, you should check out this album. RECOMMENDED TRACKS INCLUDE "Karma" and "Fragments Of Eternity". 8 out of 10. N.K.R.T are a solo project from France that plays a musical style he describes as being ritual, organic, black, tortured, ambient drone and this is a review of his 2016 cassette "Niger Ritus" which was released by Tour De Garde Productions. Field recordings start off the demo along with some Mongolian and Tibetan style chanting in the background which also gives the music more of a shamanistic, ritualistic and occult atmosphere and both of the tracks are also very long and epic in length and after awhile bells and cymbals are added onto the recording. Melodic Gregorian chants can also be heard at times along with a great amount of ethnic music elements and grim black metal screams can also be heard in certain sections of the recording and the music also uses bones, wood, clay, and stones which gives the music more of a stone age shamanistic feeling and drones along with death rattles are also added into some parts of the tracks and the last song was recorded live. 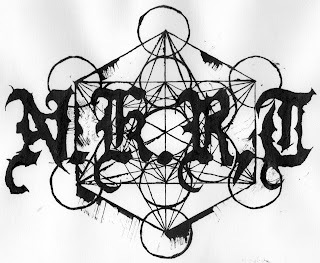 N.K.R.T plays a musical style that takes black metal, ambient, drone and mixes it with ethnic, shamanistic, ritualistic and experimental music to create something very original, the production sounds very dark and raw while the lyrics cover Occultismthemes. 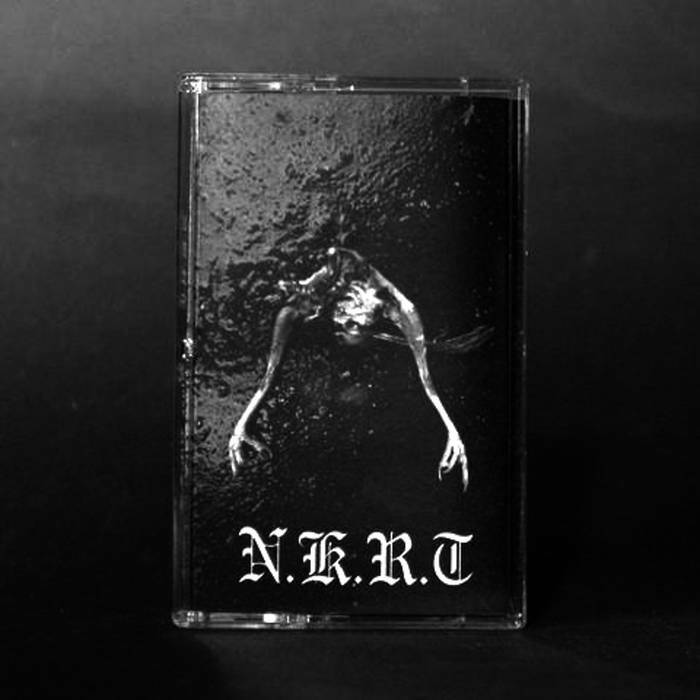 In my opinion N.K.R.T are a very great sounding ritual, organic, black, tortured, ambient drone solo project and if you are looking for something very original, you should check out this cassette. RECOMMENDED TRACK "Ante Diem XII Kalendus Iulias Sancta Crucis Ritus". 8 out of 10. 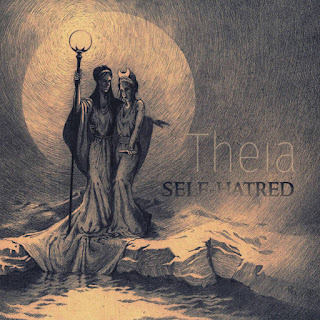 Self-Hatred are a band from the Czech Republic that plays a very atmospheric form of doom/death metal and this is a review of their 2016 album "Theia" which was released by Solitude Productions. A very dark yet melodic doom metal sound starts off the album along with some death metal growls a few seconds later and black metal screams can also be heard at times and the solos and leads also use a great amount of depressive and melancholic melodies and there is also a brief use of spoken word parts. When tremolo picking is utilized it adds even more of a black metal touch to the bands musical style and when the music speeds up a small amount of blast beats can be heard and there is also a brief keyboard instrumental before returning back to a heavier direction and later tracks also bring in more elements of funeral doom. Some of the tracks are very long and epic in length along with some songs using a small amount of melodic chanting and when they mix keyboards in with the heavier parts it gives the music a more dark and atmospheric sound and female vocals can also be heard at times and as the album progresses clean guitars can be heard in certain sections of the recording..
Self-Hatred plays a style of funeral doom metal that is very heavy, melodic and atmospheric while also mixing in a touch of black metal at times, the production sounds very professional while the lyrics cover dark and depressive themes. In my opinion Self-Hatred are a very great sounding atmospheric funeral doom/death metal b and and if you are a fan of this musical genre, you should check out t his alum. RECOMMENDED TRACKS INCLUDE "Guilt" "Attraction" and "memories". 8 out of 10.